Get a perfect pout every time with our professional lip brush! Its perfectly crafted shape is ideal for applying all types of lipstick, gloss or stain. 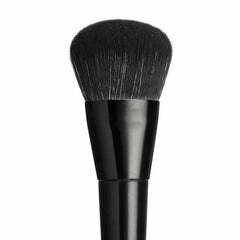 The brush also has soft vegan bristles to create the sexiest pucker—time to blow a kiss! 18.5cm full length. Bristles - 9mm high, and 6mm wide.